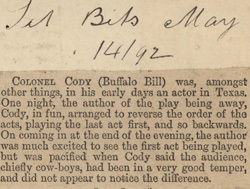 COLONEL CODY (Buffalo Bill) was, amongst other things, in his early days an actor in Texas. One night, the author of the play being away, Cody, in fun, arranged to reverse the order of the acts, playing the last act first, and so backwards. 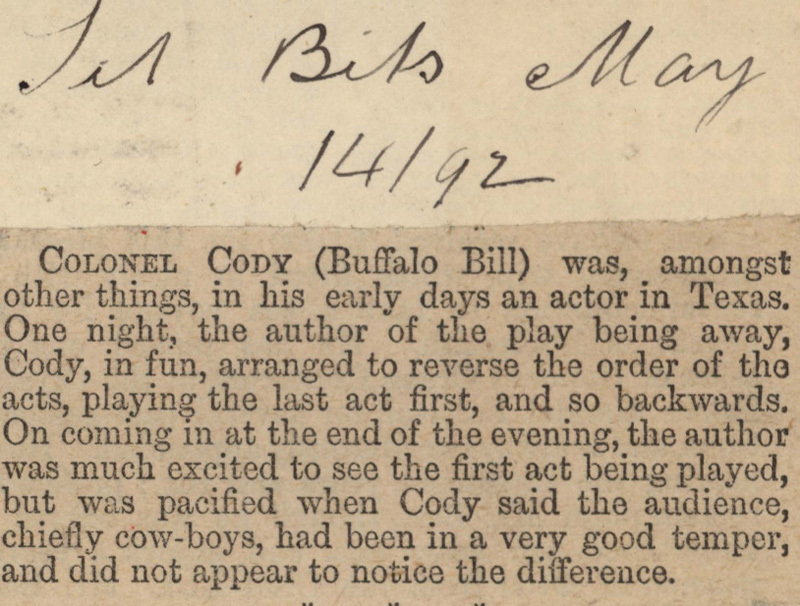 On coming in at the end of the evening, the author was much excited to see the first act being played, but was pacified when Cody said the audience, chiefly cow-boys, had been in a very good temper, and did not appear to notice the difference.